Our PADI Night Diver program includes three open water dives. 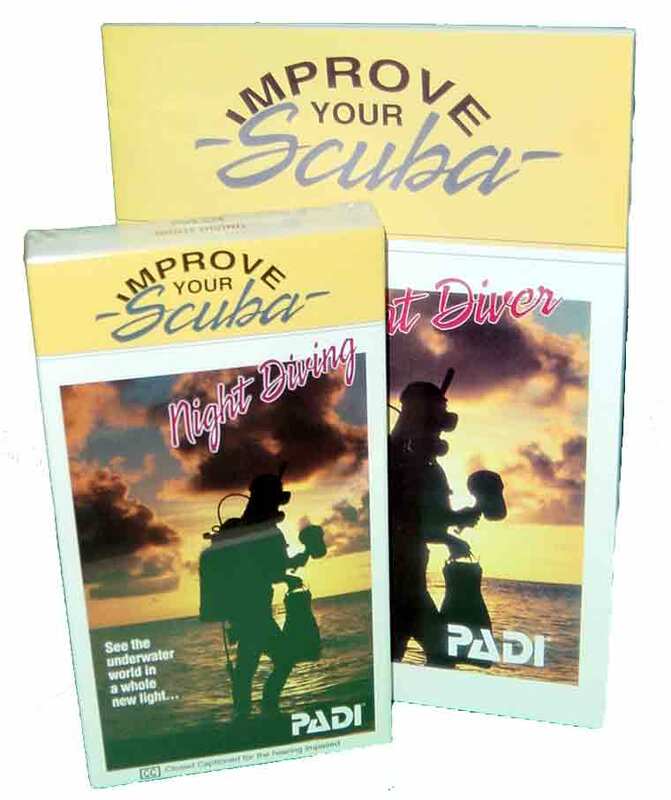 You'll earn to prepare night dive activities and develop techniques for safe night diving, proper buoyancy control, navigating and communicating in night-time environments. In addition you'll learn proper use of dive lights, buddy system techniques, dealing with disorientation, emergency procedures and orientation to nocturnal aquatic life. Our most Popular Specialty Program. The Specialty Boat Dives program incorporates about 13 hours of Instruction Customized to your Schedule with Four Supervised Dives to Complete your Specialty Certification. The most fear for Divers is Fear of the Unknown. Night Dive and explore the mysteries of the unknown - You'll be glad you did! Night Divers see a Whole Different World... and many New Creatures! Session #1 (Dives): - You will need to Dedicate a Half Day. Our Beach Dives are normally arranged early morning when conditions are typically best. Session normally runs 7 am to 10 am. Session #2 (Dives) - You will need to Dedicate a Full Day. Our Boat Trips are scheduled a Year in Advance and can be Viewed Here. Look up any "Shop Boat Dive" and use those dates in planning your Schedule. Session normally runs 6:30 am to 5 pm. Our most Economical Specialty Program. Session #2 (Dives) - You will need to Dedicate a Half Day. Our Beach Dives are normally arranged early morning when conditions are typically best. Session normally runs 7 am to Noon. If you need help or have any questions on how to schedule Your Specialty Class Please call or e-mail us and well be happy to walk you through it!